Dino Hunters - Find all the different dinosaurs using dictionary. Find a Word - Drag and drop each word onto the correct dictionary page. 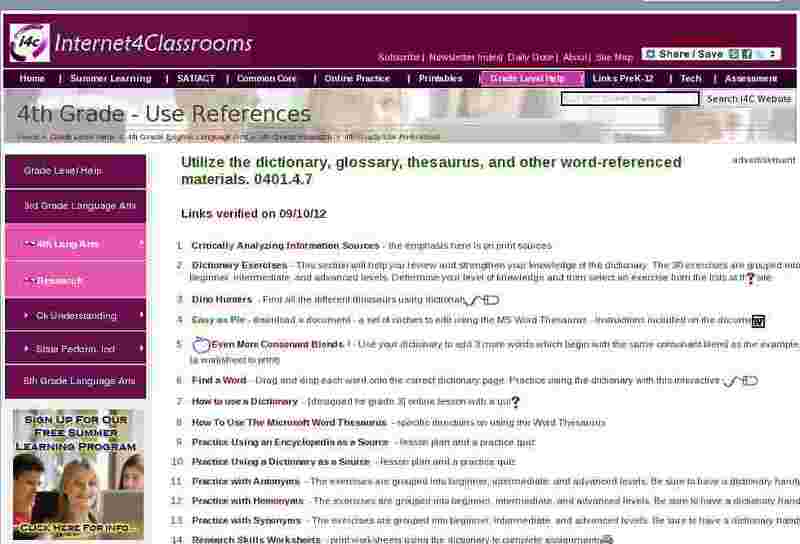 Practice using the dictionary with this interactive site. Practice with Antonyms - The exercises are grouped into beginner, intermediate, and advanced levels. Be sure to have a dictionary handy! Practice with Homonyms - The exercises are grouped into beginner, intermediate, and advanced levels. Be sure to have a dictionary handy! Practice with Synonyms - The exercises are grouped into beginner, intermediate, and advanced levels. Be sure to have a dictionary handy!